Games have been coming out from all over the place and it's no real surprise that many are simply focused on the bigger releases and topics at hand like the recent announcement of the NGP, Gears of War 3's delay into the holiday season, the Killzone 3 open beta that launched earlier this morning and whatnot. 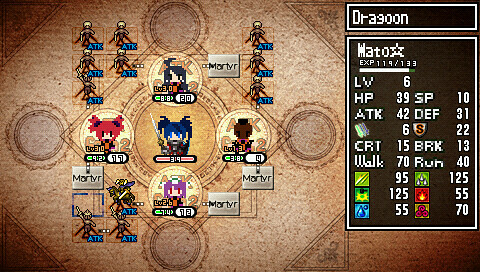 It's only natural that smaller gems will be looked over and nothing's as small or as much a gem as this humble dungeon crawling RPG from Nippon Ichi, Cladun: This Is An RPG. When Cladun was released on the PSP, it was largely overshadowed by bigger hits like God of War: Chains of Olympus, Kingdom Hearts: Birth by Sleep and even Valkyria Chronicles II. Regardless, it's a title that I still play with quite the fervour - and just so you know, I have yet to find the commitment to sit my bottoms down and complete Birth by Sleep. Cladun, on the other hand, I'd gladly play whenever I get the chance. It's a peculiar little title where one of the only real objectives is to plow through dungeons and grind like crazy. It's pretty straight forward, starting off with the main characters of its comical plot, the game quickly explains each system from dungeons to stat progression with Magic Circles and, eventually - the shining jewel of the game - the character creation system and Rangeons, aka randomly generated dungeons. You'd be surprised how incredibly flexible the character creator is and after violating it to a terribly embarrassing extent, I quickly got the hang of it and creating just about any character became second nature. 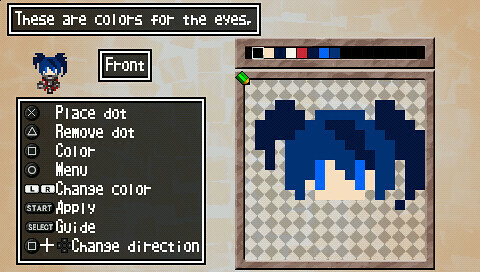 From Final Fantasy VII's Barret to Disgaea's staple Demon Lord Etna, and even a character many anime enthusiasts will recognize - Black Rock Shooter, you can create just about any character you would like in glorious 8-bit visuals and take them through the game's dungeons. Speaking of which, I don't even know how deep each dungeon goes, I've yet to actually go all the way as the challenge gets progressively greater with every level. There are great incentives, however, as going deeper usually means greater loot and rarer items. Each dungeon has its fair share of booby traps too, so I can't just run through blindly. On the flip side, I can also use these booby traps against the monsters that overrun each dungeon - some can only be defeated by using these traps. By the way and just so you know, you lose all your loot if you die in a dungeon, something that has happened to me before when I was relatively in quite deep. It's a very sad thing when it happens. Essentially, the game isn't just about going into dungeons, beating the crap out of everything that moves and levelling up. There's a surprising amount of strategy that needs to be employed in order to grind over nine-thousand and this isn't exclusive to just the dungeons. In fact, it couldn't be any more apparent than with the character progression system: the Magic Circles. Each character can be equipped with a circle and each one is unique with various boosts and buffs - or debuffs - in whatever available secondary character slots. Basically, secondary characters applied to a slot will gain a lot more experience and level up faster. This means that your main character is really the supporting character while your secondary characters are being built up to be the mains - they also act as your meat shield by absorbing damage from enemies. It's kind of ironic and a bit of a mind-boggle, isn't it? Don't worry, it all works together with the character creation tool and random dungeons to easily become quite a deep and engaging experience. The only downside at the moment is that I have no one else to play with as the game only supports local ad-hoc multiplayer. Cladun: This Is An RPG has quickly become my most ridiculously addicted-to game. It's probably worth mentioning that that title previously belonged to Metal Gear Solid: Peace Walker. Then again, I'm the type who enjoys an absurd level of grinding. 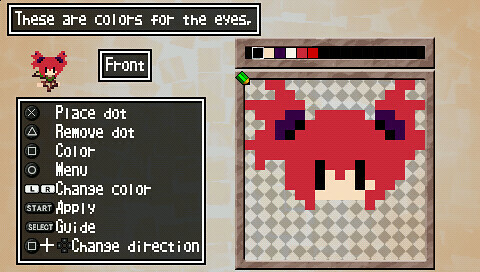 So, Disgaea fans out there, if you haven't already picked this up, I expect you to be facepalming and headdesking right about now, especially since the game only costs $19.99. You can get it via the PlayStation Store. Right then, back to grinding.